The Trump Administration’s rhetoric about immigrants and Muslims is costing American businesses billions in lost exports, tourist dollars, and foreign investment. As part of this effort, Business Forward is releasing a report on the “Trump slump” in international tourism, America’s $236 billion export (and source of 2.5 million U.S. jobs). 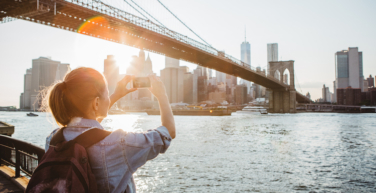 While 10 of the 12 major tourism markets were up substantially last year, the U.S. was down, hosting 3 million fewer visits (at a cost of $5 billion in sales and 40,000 jobs). In surveys, foreign travelers have indicated they feel less safe and welcome here. Travel industry CEOs, acknowledging the problem, have funded a global ad campaign to win foreign tourists back.